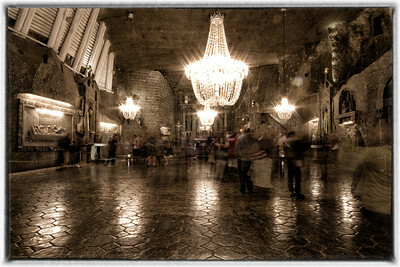 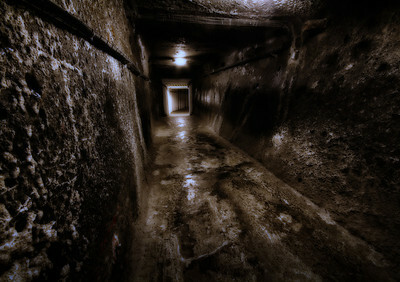 The Wieliczka Salt Mine, located in the town of Wieliczka in southern Poland, lies within the Kraków metropolitan area. 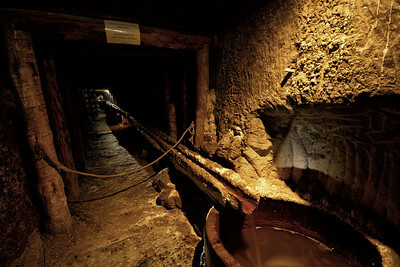 The mine continuously produced table salt from the 13th century until 2007 as one of the world's oldest operating salt mines. 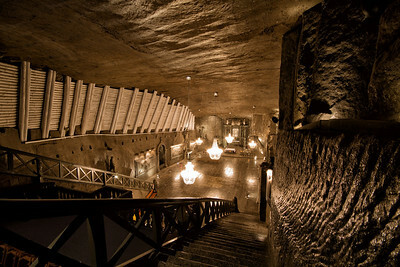 The Wieliczka salt mine reaches a depth of 327 meters and is over 300 km long. 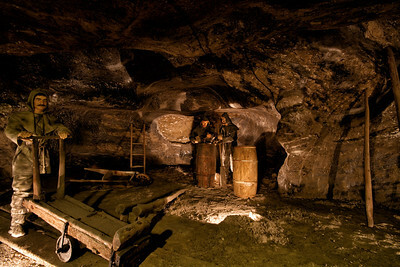 It features a 3.5-km touring route for visitors (less than 1% of the length of the mine's passages) that includes historic statues and mythical figures. 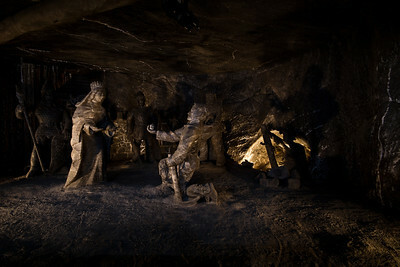 The oldest sculptures were carved out of rock salt by miners; more recent figures have been fashioned by contemporary artists. 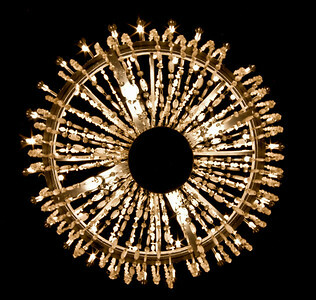 Even the crystals of the chandeliers are made from rock salt that has been dissolved and reconstituted to achieve a clear, glass-like appearance. 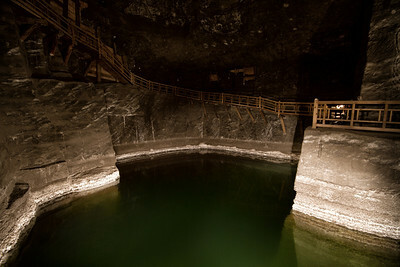 The rock salt is naturally gray in various shades, so that the carvings resemble unpolished granite rather than the white or crystalline look that many visitors expect. 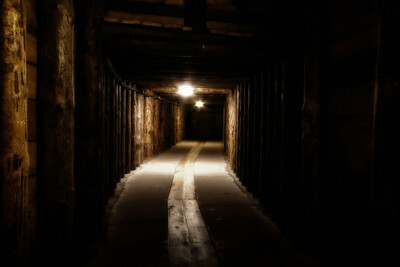 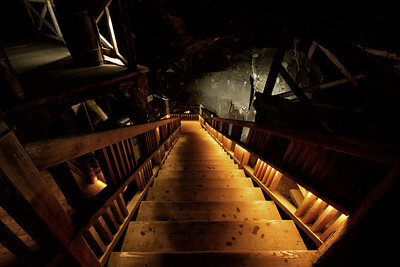 To get down to the 64-metre level of the mine, visitors must descend a wooden stairway of 378 steps. 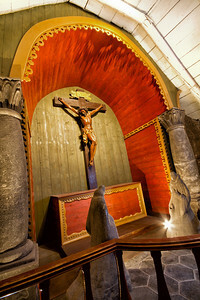 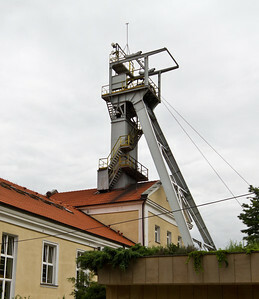 After the three-kilometer tour of the mine's corridors, chapels, statues and lake, 135 metres underground, visitors take an elevator back up to the surface. 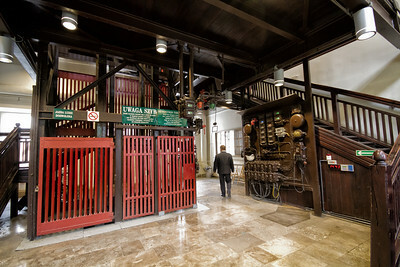 The elevator holds 36 people (nine per car) and takes some 30 seconds to reach the surface. 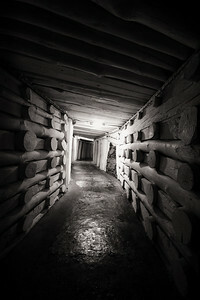 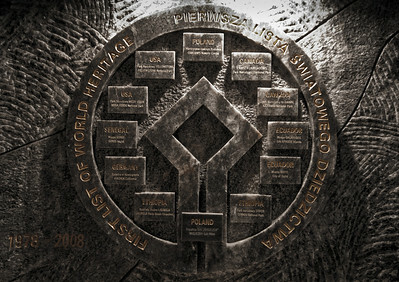 In 1978 the Wieliczka salt mine was placed on the original UNESCO list of the World Heritage Sites. 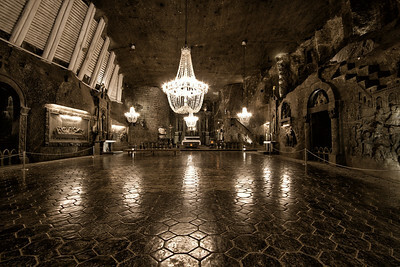 St. Kinga's Chapel 101 m underground was started in 1896 and it is a masterpiece carved in rock salt by the Wieliczka miners sculptors. 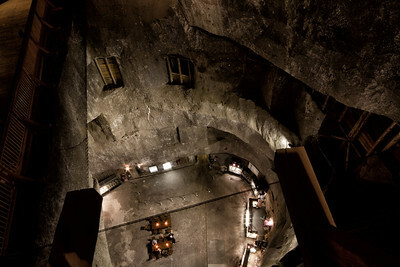 The Janowice Chamber, worked in the first half of the 17th century is the set of rock salt sculptures," The Great Legend", shows the moment of discovery of the ring, which according to the legend, traveled with salt from Hungary to Poland. 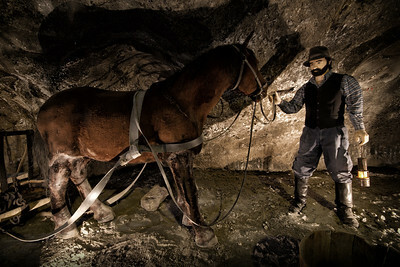 In the Wieliczka mine, horses worked from 16th century. 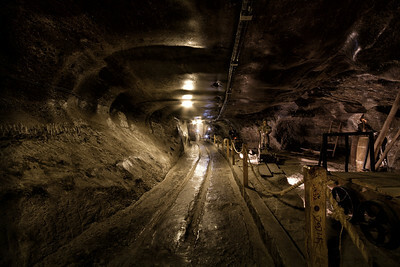 They carried salt along galleries or moved the treadmills ( hauling devices). 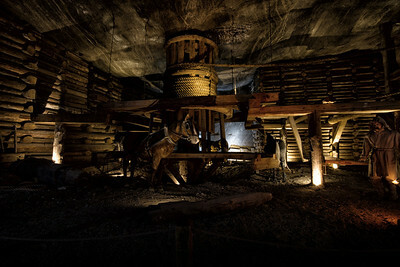 The treadmill of the saxon type with working horse. 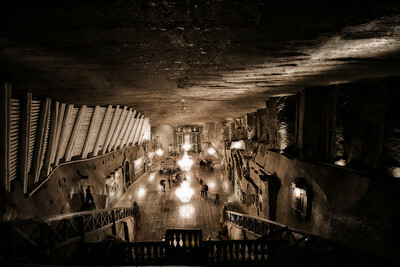 101 m underground was started in 1896 and it is a masterpiece carved in rock salt by the Wieliczka miners sculptors.